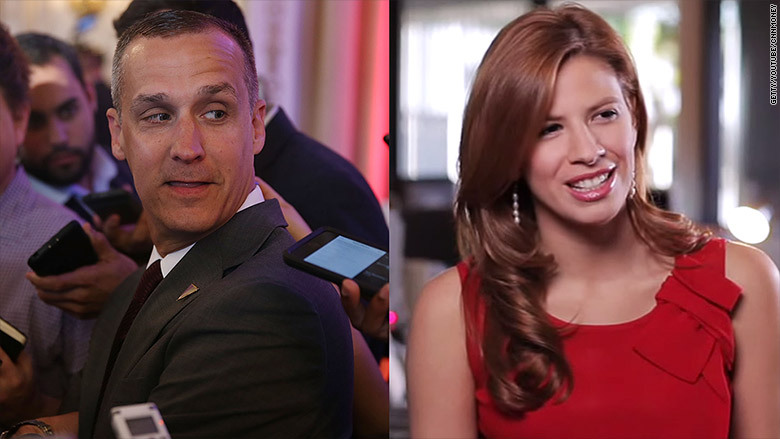 Journalist Michelle Fields says she never wanted last month's altercation with Trump campaign manager Corey Lewandowski to "blow up" into a big story. But Lewandowski and Trump lied and "defamed me," Fields says, which is why she is now weighing whether to file a defamation lawsuit. On CNN's "Reliable Sources" on Sunday, Fields said the incident "sheds light on the character of the campaign," adding, "I think a lot of people were surprised by their blatant lies about me. That's why it became a huge story." A Trump campaign spokeswoman declined to comment. Last month the police in Jupiter, Florida found probable cause to charge Lewandowski with misdemeanor battery for yanking Fields' arm. 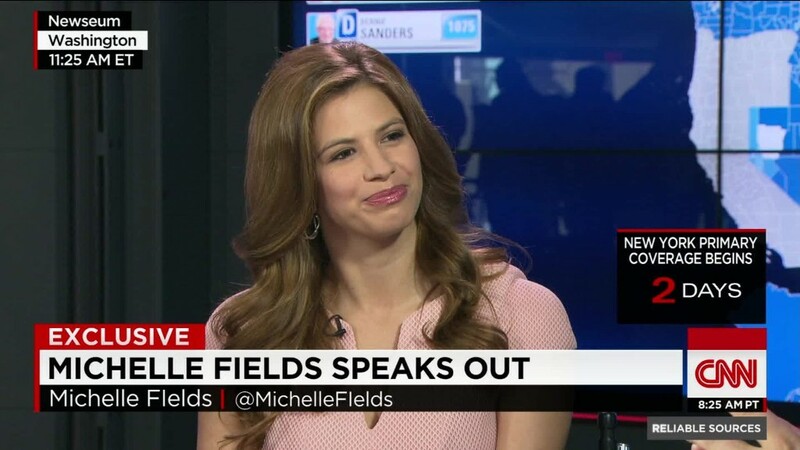 The incident happened at a March 8 press event when Fields tried to ask Trump a question. On April 14, however, the Palm Beach County Florida State Attorney David Aronberg said he would not prosecute Lewandowski. Fields called the prosecutor's handling of the case "a little sketchy" and "very unprofessional." "Look at the prosecutor and his wife's social media," she said. "They are at Mar-a-Lago, Donald Trump's resort, all the time." Aronberg's wife Lynn runs a local public relations firm. Photos of the Trumps are on the firm's web site home page and social media. "I can't speak for anyone else, but if I was a prosecutor, and my wife was trying to monetize her relationship with Donald Trump, and it's right there on her web site... I would recuse myself," Fields said. Aronberg's office did not immediately respond to requests for comment. In explaining the decision to drop the charges, prosecutors said Lewandowski had a "reasonable hypothesis of innocence" and could say he was defending Trump. But Fields rejects that explanation. Sunday marked her first TV interview since the prosecutor's decision. By her own account, her life has been turned upside down by the momentary encounter at the press conference. She quit her job at Breitbart News because she felt the web site did not properly support her. She moved out of her apartment because news outlets, including Fox News, inadvertently published her address. "The D.C. police have been incredible...[I'm] working on hopefully getting some of these very serious threats handled," she said. As for what Fields plans to next, she said, "I'm taking it day by day." 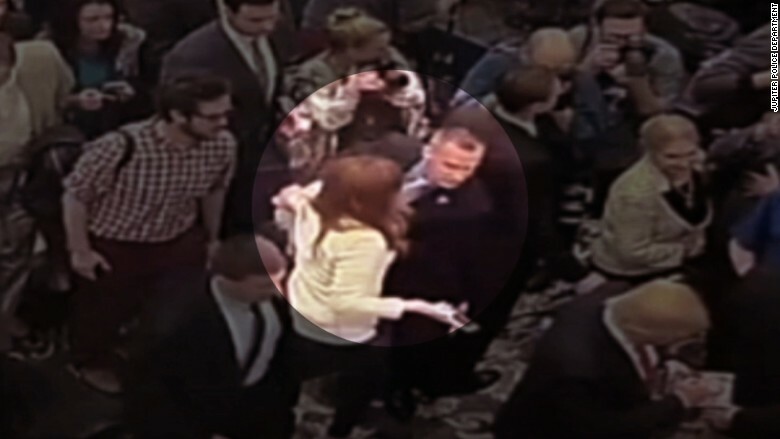 A security camera captured footage of Lewandowski and Fields' interaction. Fields' numerous critics believe she exaggerated the incident and sought out media attention. However, she insists she "stayed quiet" initially because she "didn't want this to become a story," and an apology would have been sufficient. Fields says she was told by a Breitbart editor that she'd receive one. But Fields says that never happened. Lewandowski said on CNN's "New Day" that he called Fields the night of the incident to find out what happened, but "I never heard back, and to this day I've never heard back from Michelle." Fields said she was unaware of any call from him. "There was no voice mail, there was no text, there was no e-mail following up to try to communicate," she said. On March 10, Fields published a first-person account of what happened. She described being "grabbed tightly" and said she "almost fell to the ground." Some Trump supporters and other observers have mocked her for overdramatizing the interaction. When asked if she exaggerated, Fields said, "That's what I felt... I was going up to him and felt someone pull me back. I'm in high heels. I'm not expecting anyone to yank me." After Fields wrote the essay, the Trump campaign called her accusation "entirely false." Lewandowski called her "delusional" and an "attention seeker." Trump said the Secret Service told him that "nothing happened" and said he thought "she made the story up." Fields said those comments were part of a smear campaign. "I think they were trying to defame me, and I think it shows malice," she said, adding that she hasn't ruled out a civil suit, but also hasn't committed to filing one. She also said she would still appreciate an apology from Lewandowski: "I don't think I'm going to get an apology anytime soon, but it would be nice."